How to earn 30% or more on your money each year. This proven options blueprint gives you an accelerated path to riches. In my profession i have taken more online training than i care to remember but never one like this, PERIOD! Mr Travis Wilkerson's ability to simplify and breakdown the "voodoo" surrounding Option Trading is amazing. He not only talked the talk but walked the walk, not only showing you his trades but most importantly the "why" or thought pattern behind the trade - to me this made the training worth more that it actually cost. Give a man a fish and he will eat for a day, show him how to fish......Priceless!. I have now acquired the tools and building blocks to be successful at Option Trading, there is enough knowledge in this training for you to be profitable right out of the gate. My goal is now to make enough money from Option Trading to take the more advanced training class as I honestly see this as a way to financial freedom. Well done Travis, well done! Anyone that is serious about options trading this is it. Plain and simple, this is what i was looking for online thru numerous sites,wasting money on each site, newsletter, trade alerts promises, promises and more promises. Trader Travis truly wants you to learn. I would like to thank travis for his time and good heart.We need more honest and down to earth people like travis. i belive in paying it forward. greed is why we live in the kind of world we live in. thank you travis. Awsome program. Really impressed with the course material and speed so far. Only about a quarter of the way through but I love Travis' no nonsense teaching style and his genuine desire to have every single one of his students be successful. I can't wait to go to class every day and learn more! I've completed approximately 30% of this course and thus far not to bad. When I complete the course I'll give a summary review. For those just learning options trading its as good as just about any out there. Update: after completing 57% of this course I must give the course 5 stars. The Risk management principles taught ALONE are worth the cost of this course. The trading lessons as well as life lessons shared by Trader Travis (TT) are profound to the Nth degree. 5 STARS and thank you TT. Awesome course. The information presented by Trader Travis is second to none! It's easy to understand and to follow. I have already watched the videos at least twice. I have already implemented some of the things that I have learned and I have made money! I will certainly be investing in my future with his success academy! Thank you sincerely, Travis. I have gained a new passion and a new way to build wealth! Being new to options trading I'm super excited out learning option trading! The layout of the course is amazing, easy to follow, clearly detailed and loaded with info! Thank you Travis for your willingness to teach and be transparent. Looking forward to this journey! God bless, Aleksey R.
I have just begun this course and am already impressed with the way Travis Wilkerson presents the potential realities of options trading. He gives you a great picture of what a successful mind set looks like, and then walks you through the ins-and-outs of options trading. I have explored other options training programs, but after learning more about Travis on his website, I was intrigued by someone who would offer so much of his time and hard earned experience to others for free.You really do get the sense that he wants you to succeed. Also, I think the price for this course is an incredible value! As a rookie to stock/option trading, its so freaking hard to find a genuine and grounded person who is willing to teach and share their knowledge about the market in general. If you go on his website (http://www.learn-stock- options-trading.com/options-trading-mentor.html) and scroll through his content; I learned more from that alone than a previous course I paid for. I'm thankful for coming across this class and being able to learn/teach generational wealth to future generations to come! I never met Travis, but Thank you! This is the best beginners course for stock options trading, period! I have learned a lot from this course than I have from any other source (books and online combined). Kudos, Travis! I want to keep this short and to the point. If you want to learn to be a better trader, can listen and follow simple instructions, this is the course you need. If you want and need expert advise when you are having difficulties, this is the course. If you want to learn how to manage your finances, and learn secrets only the pros know, this is the course. I have taken other financial courses, and none of them compare to the instruction, knowledge, and care that Travis and his team give you. You won't be disappointed, and if you don't learn anything, you weren't listening. Travis could easily charge 5-times the amount, and it would still be a great investment. If you follow all his steps, you will become a better trader. I have, and I have only been enrolled for 3 months. Trader Travis is a great course instructor. This class really encompasses everything from the basics to how to make money. If you are motivated to learn options trading take this course. 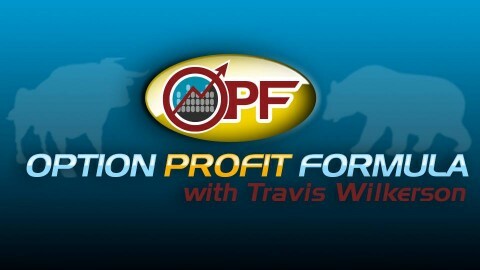 Travis provides a very comprehensive treatment on what options are and how they can benefit your financial future. He teaches by example using real life analogies most people can relate to. Nothing is taken for granted and the material is presented honestly. Travis does what he teaches for a living and teaches what he does. One thing that sets this beginner course apart from a lot other noise out there are the little risk management and money management principles that are incorporated into this course. Yes, I know you have to pay for the class so technically it is not priceless. However, I guarantee you will get your money back by learning Travis's techniques and utilizing them in your trades. The class is broken down in a way that makes it fun and easy to learn. Everyone has heard it before but honestly if I can learn in this class you can too. This is coming from a guy that graduated 2nd from last in high school. :-) After going through Travis's 6 modules I have never been so excited to purchase a course. I am taking my time but I honestly cannot wait to acquire all his learning techniques and attend Travis's academy. I have not yet completed the course, I already have the basic knowledge in options trading, but I had to learn them on my own, this course explains them the way I wish It had been explained to me when I started. The first 4 sections of this course focus on your mindset and expectations, something I believe to be of extreme importance, even with my knowledge of the basics I had the wrong mindset, and that would affect my trading performance and my planing. I have only completed 5 out of 18 sections, so I do not have a defined point of view of the entirety of this course, but from what I have seen so far, I can say it is a high quality course. I will update this review (and rating) as needed.